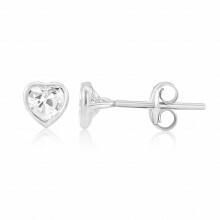 The open setting at the back of these Earrings brings light and sparkle to the Cubic Zirconia stones. 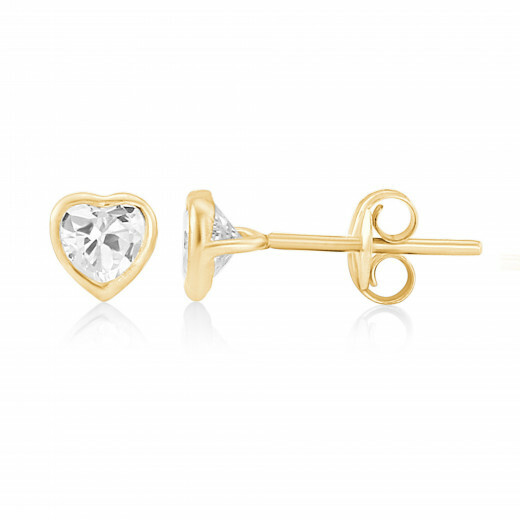 The heart-shaped faceted Cubic Zirconia shine from their Yellow Gold minimal setting - a metal that suits all skin tones. 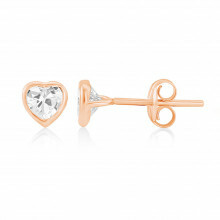 Sweet and versatile, these Earrings make a perfect, romantic gift.